The tiger (Panthera tigris) is the largest member of the Felidae family. Best known for its striking reddish-orange coat covered with dark stripes, the big cat shows up in mythology and folklore, on coats of arms and even as mascots for sports teams. 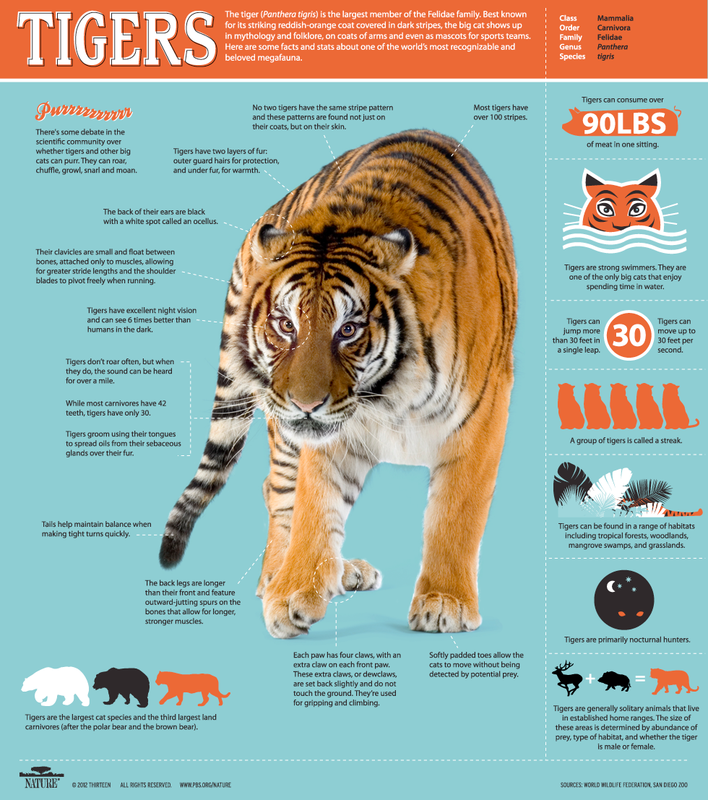 Here are some facts and stats about one of the world’s most recognizable and beloved carnivore.